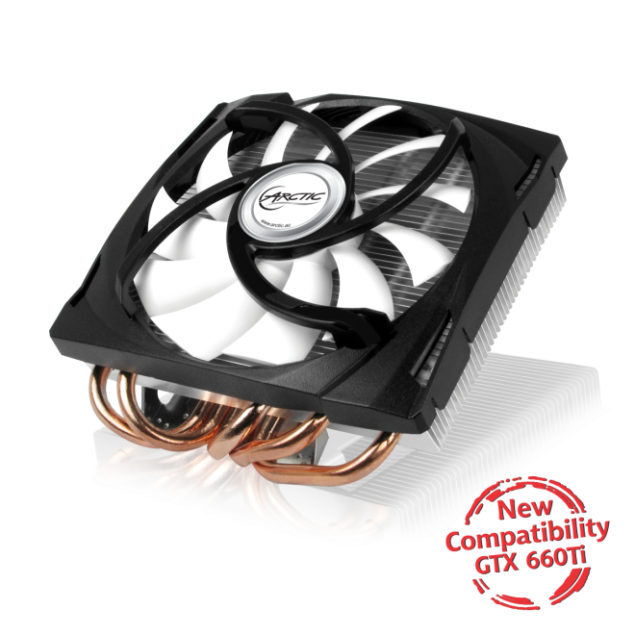 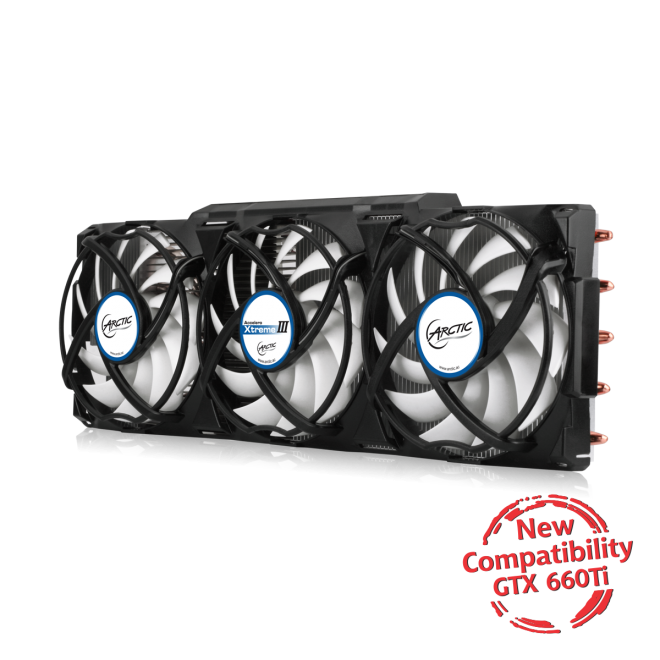 ARCTIC Cooling have announced the compatibility of several VGA coolers with the upcoming GeForce GTX 660Ti GPU from NVIDIA. 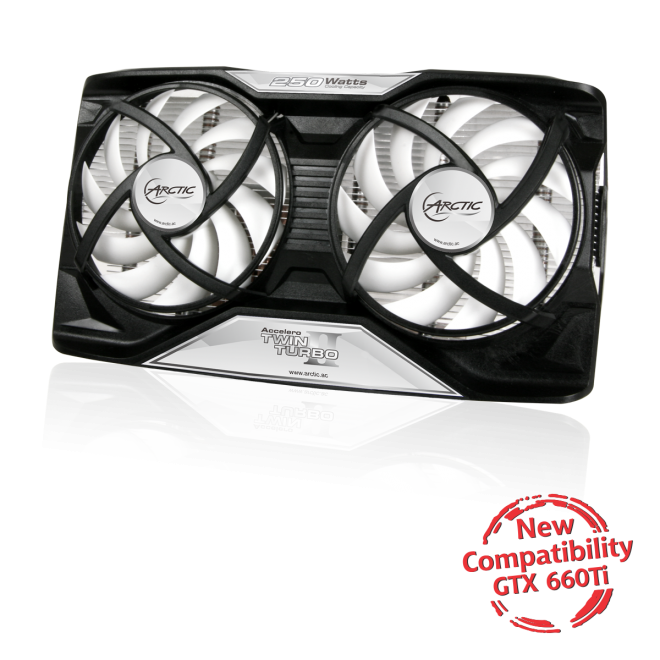 The compatibility listing shows that NVIDIA’s GTX 660Ti would be launching soon. 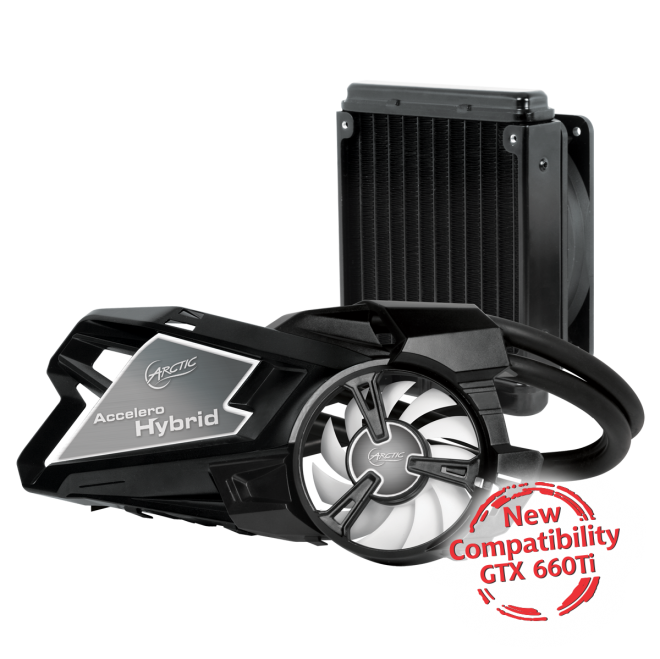 Also, it may be noted that GTX 660 and 670 share the same PCB design so that’s why compatibility is offered over several VGA coolers. To learn more about the ARCTIC cooling solutions, head over to http://www.arctic.ac/en/p/cooling/vga.html.